Super Mario Odyssey is the Mario Galaxy sequel you’ve been dreaming of. The worlds contained within the game are expansive and detail-rich, and Mario still moves like he’s a limber, spry athlete rather than the 30-year-old plumber that he is. We’ve gotten a chance to go hands on with the game at Nintendo’s booth during E3 2017 for two 10-minute sessions and have walked away feeling excited not only about the Mushroom Kingdom’s leading man, but also about the future of the Nintendo Switch as a whole. I should slow down. Super Mario Odyssey isn’t a direct sequel to the Galaxy franchise despite having a suspiciously similar premise. 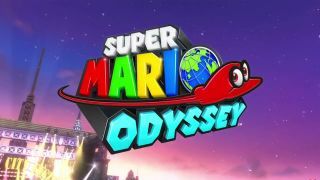 In both games, Mario transverses a number of unrelated worlds, called Kingdoms in Odyssey, in the search of missing cosmic planetoids. That’s not even mentioning gameplay which feels more like a speedier Mario 64 than it does 3D World. But, surprisingly, Odyssey has the potential to be even better than both Galaxy – one of the highest-rated games of all-time – and Mario 64. And it’ll likely be the game that will finally convince me to buy a Nintendo Switch, something not even The Legend of Zelda: Breath of the Wild could do. Before you think I have some sort of vendetta against The Legend of Zelda: Breath of the Wild, it’s worth pointing out that I think the latest incarnation of Link’s open-world adventures is an incredible game. In fact, it was my favorite game this time last year at E3 2016. I love that it gives you the freedom to explore anywhere you want; to craft convoluted items out of sticks and stones, and take out enemies in ways that would make MacGyver green with envy. Super Mario Odyssey isn’t as creative in that way. There’s no crafting. There’s no sprawling overworld that allows you to travel to the mountains in the distance (or at least not one that I’ve seen), and Mario’s attacks might feel a bit stale compared to Link’s creative techniques. That said, while Zelda had a sprawling world with a few really fun, sporadic interactions, Super Mario Odyssey is packed to the point of bursting with collectibles and interactive objects. In no particular order there are Power Moons and purple coins scattered all about the map, and the latter can be used to purchase pieces of clothing and decorative objects that unlock even more hidden areas. Power Moons and purple coins are often so close together, that you’ll stumble from one to the next to the next before you even have time to look around and enjoy the scenery. Odyssey is a game that constantly rewards you, often for just looking around the corner and makes it a point to do so every time you do something extraordinary. But all the collectibles in the world wouldn’t mean a thing if getting from Point A to Point B was a chore. Thankfully, it’s anything but – and it’s all thanks to Mario’s iconic red cap: Cappy, as it’s lovingly referred to in the game, is the transformative hat that gives Mario most of his powers in his latest adventure. He shoots from Mario’s hand like a frisbee when you shake your wrist (a particularly nice use of the Switch’s motion controls) and can be used as a projectile to stun or stomp out enemies from afar. Cappy’s greatest power, however, is the ability to turn Mario into his enemies and his environment. Flick your wrist at certain enemies – Bullet Bills, for example – and you can use their abilities to progress deeper into each map. Cappy not only helps you inhabit baddies, but also helps you possess neutral NPCs like New Donk City residents, stone effigies, random tanks and even dinosaurs – yes, Mario can now become a dinosaur. These various forms you can maneuver around the map in new ways, unlocking previously blocked paths and unveiling previously unreachable Power Moons. In New Donk City, you can also use the ability to turn Mario into a spark that travels along electrical wire up and down skyscrapers and all around the city. This gives Odyssey a level of verticality we haven't seen before in previous Mario games. Mario 64 might have offered us three dimensions for the first time, but Odyssey is the first game in the franchise to use height to its fullest extent. Full disclosure: I didn’t have faith in the Nintendo Switch. I don’t need another paperweight with a Nintendo logo on it ... I already own a Wii. Look, in my very personal opinion, Nintendo systems launch with one or two really strong games and then fizzle out for year while first-party studios labor over the next big game. Great games are few and far between and my Nintendo console ends up sitting on a shelf. I didn’t need another paperweight with a Nintendo logo on it ... I already owned a Wii. But Super Mario Odyssey is the second game from Nintendo in 2017 that has mass appeal. Add to that list a new Pokemon game and Metroid Prime 4 sometime in the next year and I finally feel like Switch is no longer a novelty, but a necessity for the modern gamer.